Compumove Systems includes the most advanced movers sales tools and sales management software on the market today. 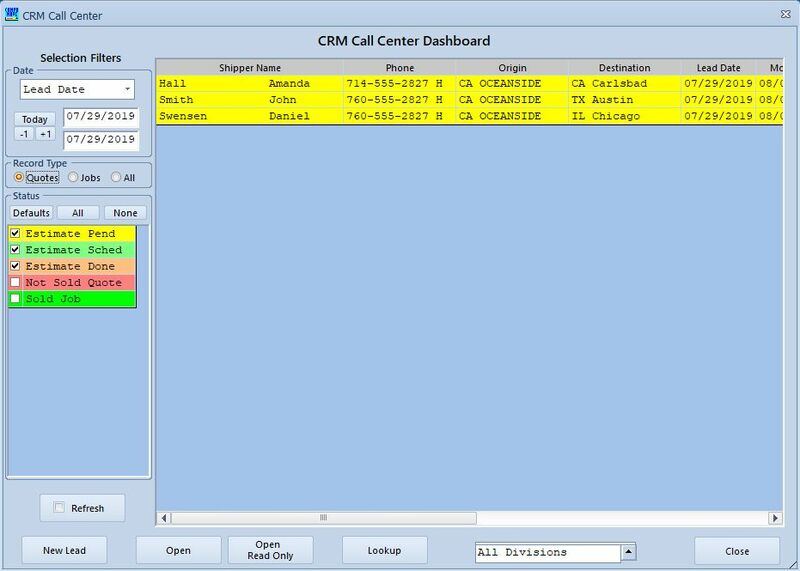 Our Sales system module integrates sales leads management, accurate room-by-room cube estimating, chronological history of move changes with storage of complete estimate data through the lifecycle of the entire move. All of the integrated sales management functions may be performed from the field using any popular Windows tablet for true mobile on site functionality. 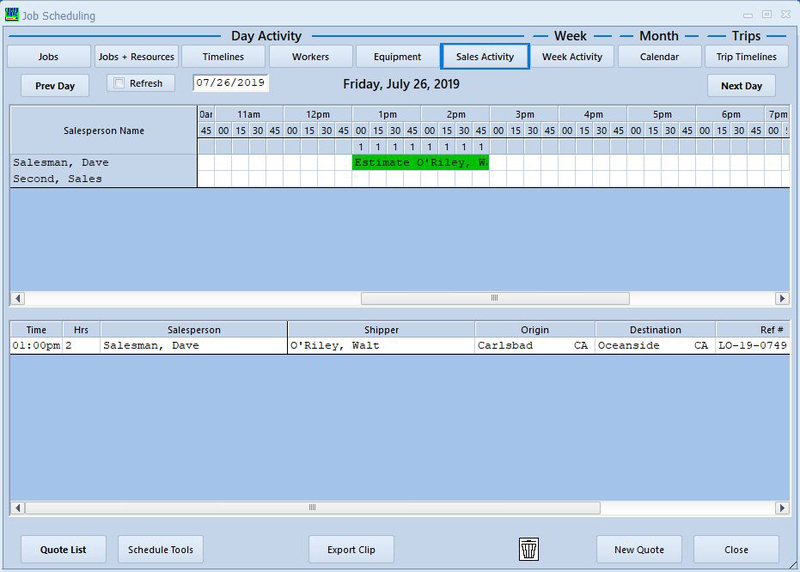 Using using any popular Windows tablet, a salesperson in the field can perform cube sheet calculations, generate and print a completed estimate, and access real-time scheduling information to book a move. Estimate detail and booked moves are immediately updated on the dispatch screens in the main office. 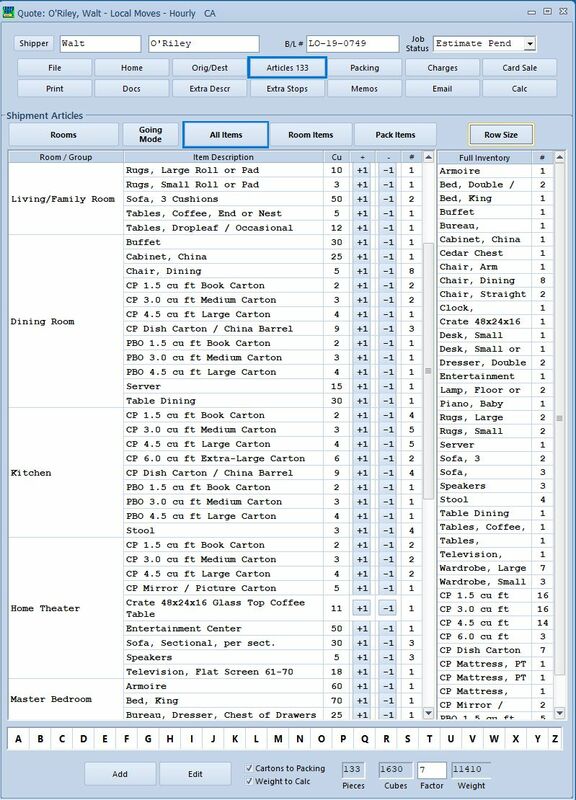 The cube sheet function allows a salesperson or surveyor to make an accurate room-by-room estimate, for hourly-, weight-, or cube-based moves. 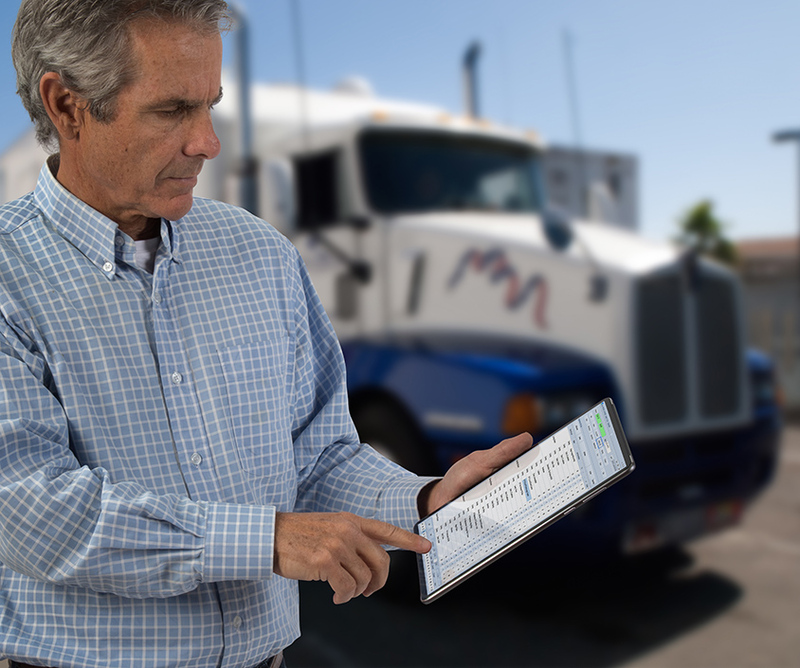 Cube sheet estimating can be done during a walk-through of a shipper’s home with a tablet PC, or perfomed by a phone estimator from within your office on a regular PC. If you get email leads from your own website, or from one of the mover’s referral pages like moving.com, getamover.com, vanlines.com and others, CompuMove will automatically send a reply email to the shipper, process the lead detail into a new quote, and alert the assigned salesperson. The lead management system allows lead source recording for each move. Lead sources can be analyzed according to job type and closing ratio, as well as ranked for dollar volume. Shows date and time slots available for salesperson estimates. 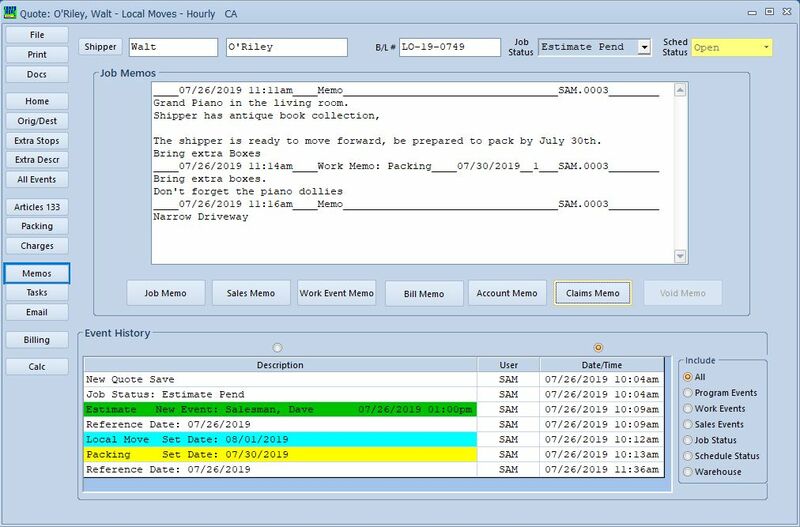 The memo screen keeps a chronological history of move changes, shipper requests & agreements, and your internal shipment memos. 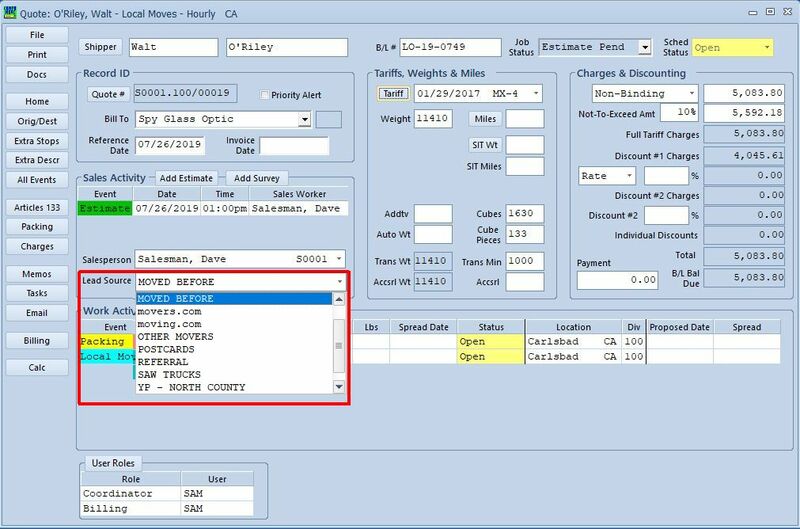 It also creates automatic memos when forms and invoices are printed. 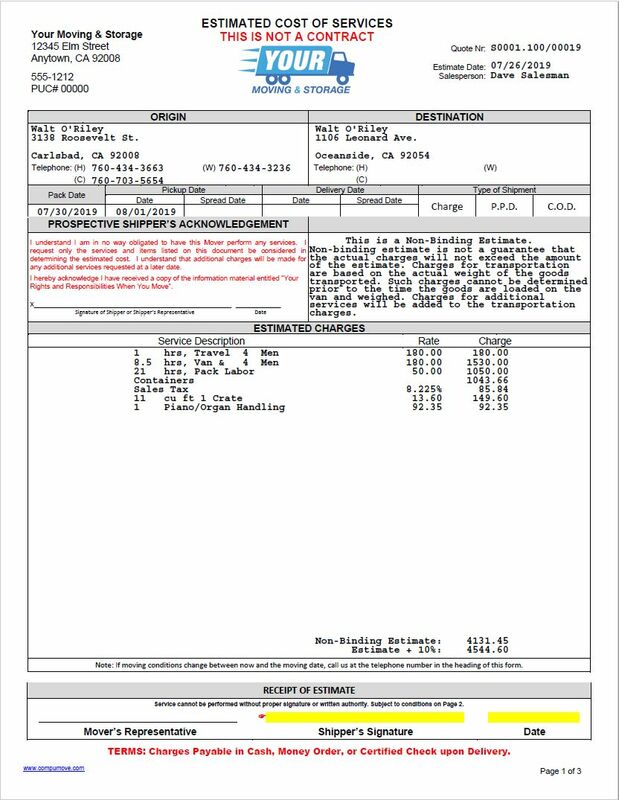 CompuMove’s sales management system stores complete estimate data from the time of initial contact with a shipper until the completion of the move. Complete integration with all other CompuMove modules means that salesperson estimate data is shared throughout the system. Salesperson performance, closing ratio, and estimate accuracy can all be measured and reported. This company changed our life. Big enough to be a great well thought out product Small enough to feel appreciated as a customer and get any issue taken care of right away. I highly recommend CompuMove to anyone looking for a solution to thier business needs. Thanks guys!